ACI offers a 30% off studio sample discount on all of our products from January 1 through November 30. No studio sample discounts are given in the month of December. 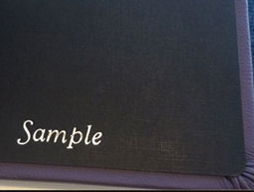 To order a studio sample, write in the Special Instructions “Studio Sample” when placing your order through MyACI. Studio sample discounts cannot be combined with any other discount. 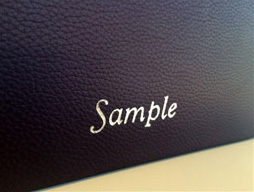 All products ordered as a studio sample will be marked as sample before leaving the lab. Call Customer Service at 800-728-2722 with any questions. 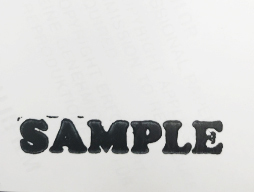 These products will be stamped SAMPLE on the top edge of the frame in either white or black ink. These products will be stamped SAMPLE on the back of the print in either white or black ink. 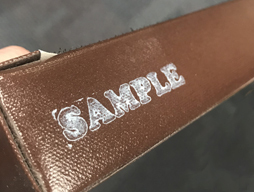 These products will be stamped or embossed SAMPLE on the back cover at the bottom in the middle or the inside back cover at the bottome in the middle. Location depends on what type of material is ordered for the cover.